Gaggenau Authorised Partners are Showrooms that have been carefully selected by Gaggenau to best represent their brand and products. 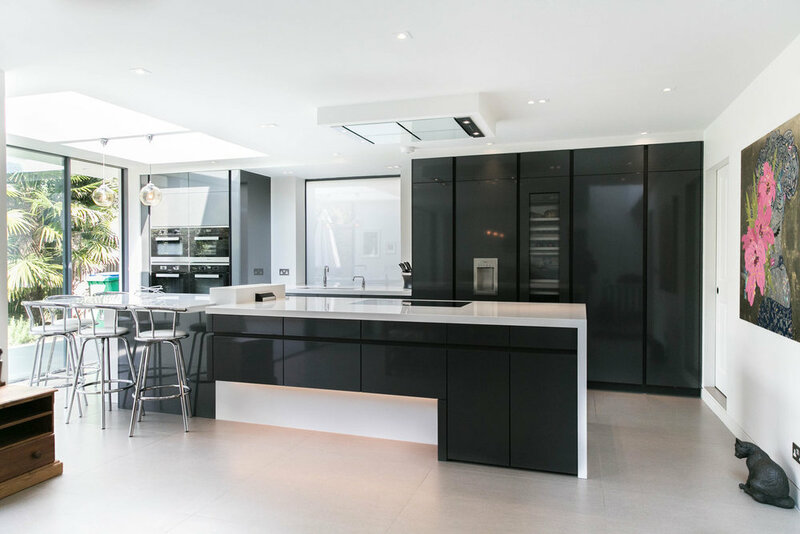 Gaggenau Partners are well established, trusted and experienced retailers who have demonstrated their ability to consistently meet & exceed customers requirements. 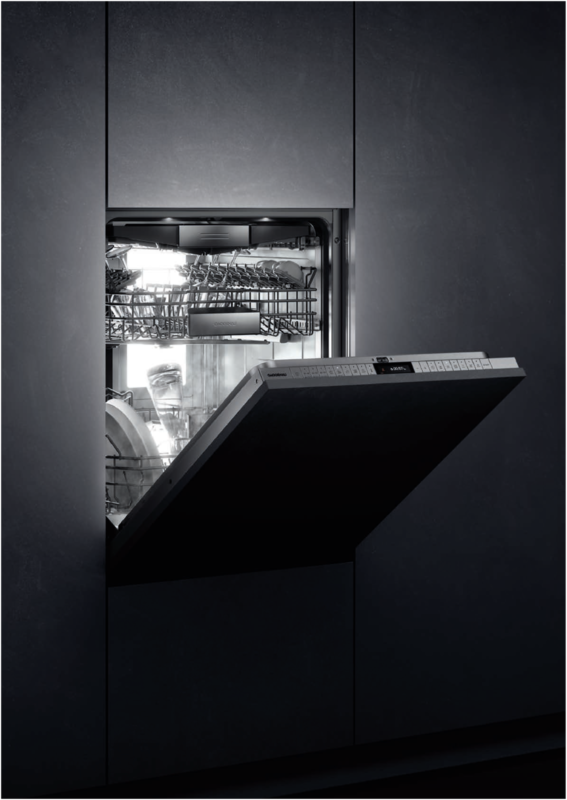 Every one of Gaggenau's pieces are conceived, designed and engineered. Doors close with reassuring solidity, knobs turn with distinct increments, inserts fit snugly yet easily into place. Everything acts as it should and as you would wish it to. 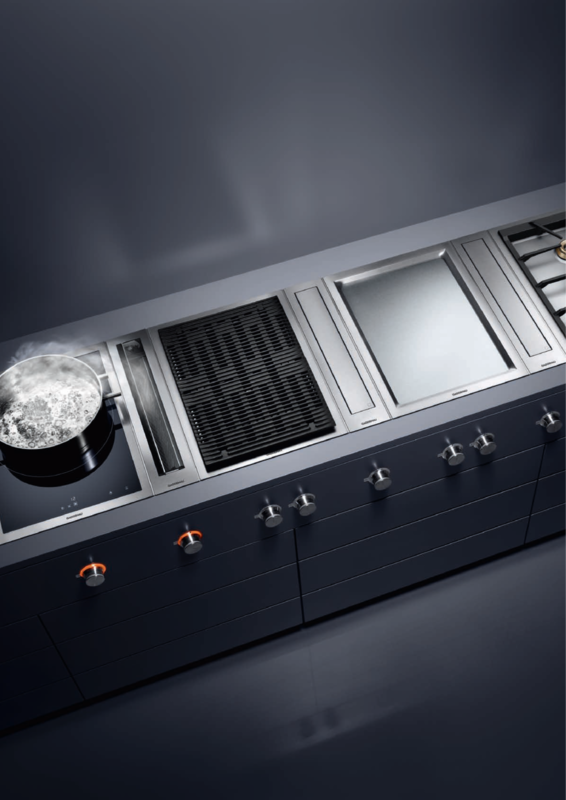 Gaggenau is refined engineering and rugged design. Offering the eye a clean, minimalist line, and the chef immense control and capabilities. Open a door, turn a control knob, press a button, feel the difference. 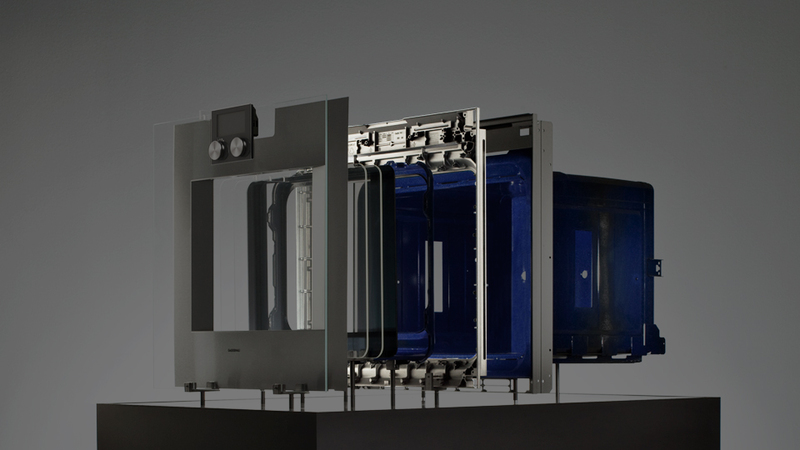 Quadruple glazed, partially thermally coated oven doors are anything but usual. For us, they are indispensable. This is because they ensure that much of the heat is reflected inside and the outer pane remains at a temperature of at most 75°C, even when the pyrolytic process is at a temperature of 485°. This is ensured on one hand by the careful selection of materials and on the other hand the perfect workmanship. 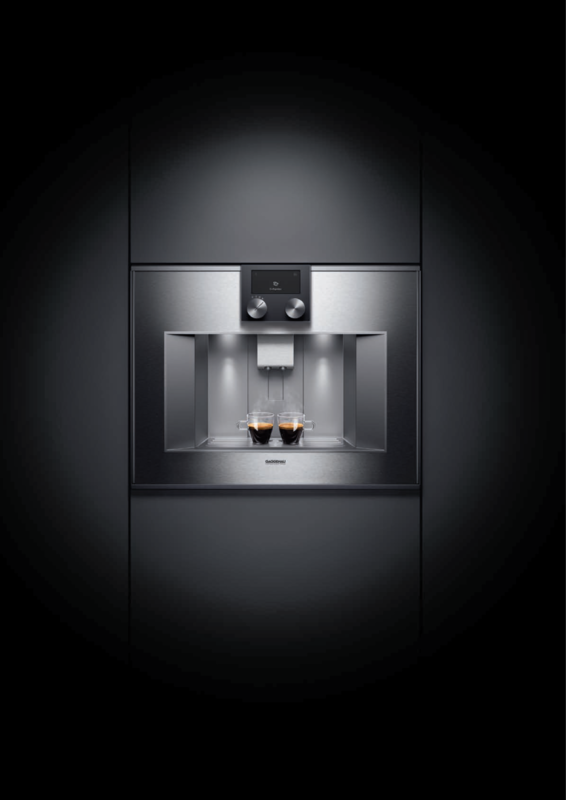 Every handgrip in the kitchen therefore makes the legendary Gaggenau quality literally tangible. Clear and intuitive to use, the control module in the front panel replaces the usual panel with its switches and buttons. The screen is made from stainless steel. 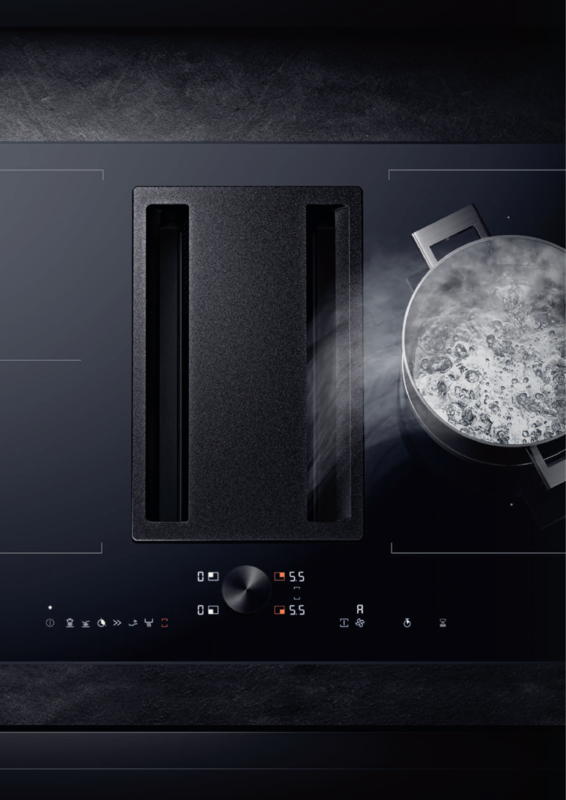 The panorama pane ensures optimum visibility of the interior of the oven. The insulated panes have a special coating, which reflects the heat radiation from the oven to the inside. The protruding tab at the lower edge of the door base ensures that grease splatters that hit the oven's interior pane during roasting flow into the oven. The door frame is the supporting element of our ovens and has been manufactured from a single piece to ensure special stability. The surface of the oven and the supporting frame are protected with our robust oven enamel that is still produced today using an old secret recipe. 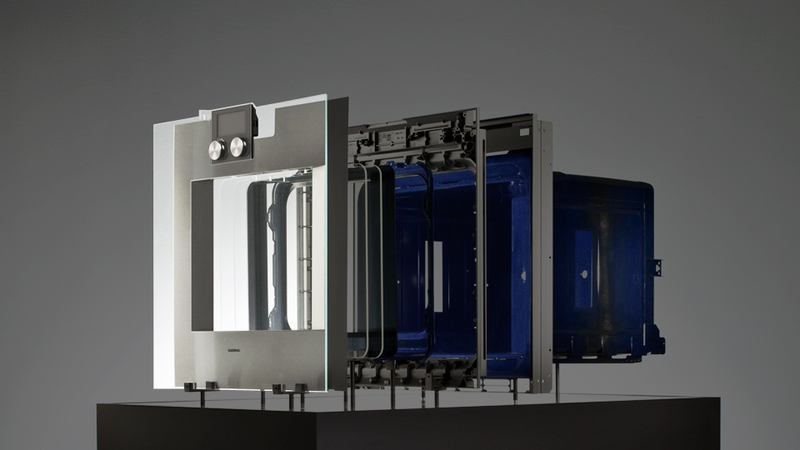 Gaggenau had plenty of time to build up a very special expertise: With initial production of enamelled signs, we acquired valuable skills for the production of our enamelled ovens. Today, the typical blue Gaggenau enamel is a recognised brand and quality mark - and its recipe is a closely guarded trade secret. Glass plates, oxides and chemical additives are ground, mixed to a secret recipe and sprayed in a particularly thick layer on the oven. 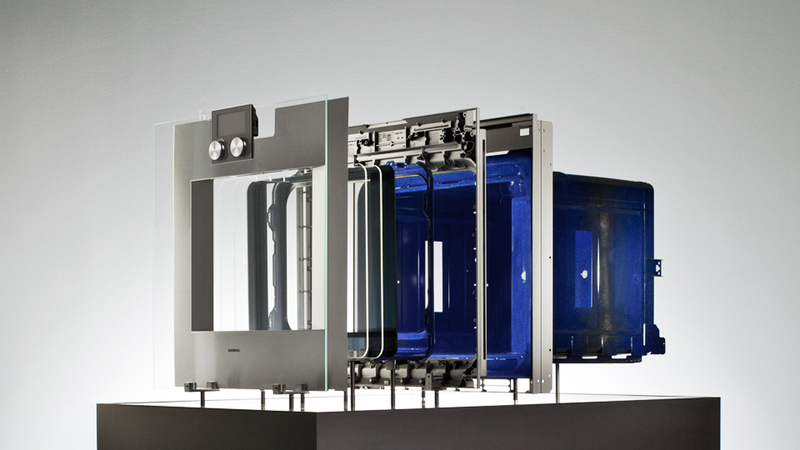 This special blend not only allows the inside of our ovens to glow the typical Gaggenau blue, but also enables pyrolysis, or automatic self-cleaning. Stubborn stains can be removed easily.